Representatives from Barnsley College collect the Silver Award for the Full-time Prospectus. L-R: Keynote speaker, Jo Maher, Principal of Boston College; Sue Tazzyman, Senior Digital Marketing Officer, Barnsley College; Paul Spenceley, Senior Graphic Designer, Barnsley College; Bethh Oliver, Digital Marketing Officer, Barnsley College; Liz Smith, Senior Marketing Officer, Barnsley College and Sapreena Kumari, Director of Admissions, Student Recruitment and Outreach, Aston University, the award sponsor. 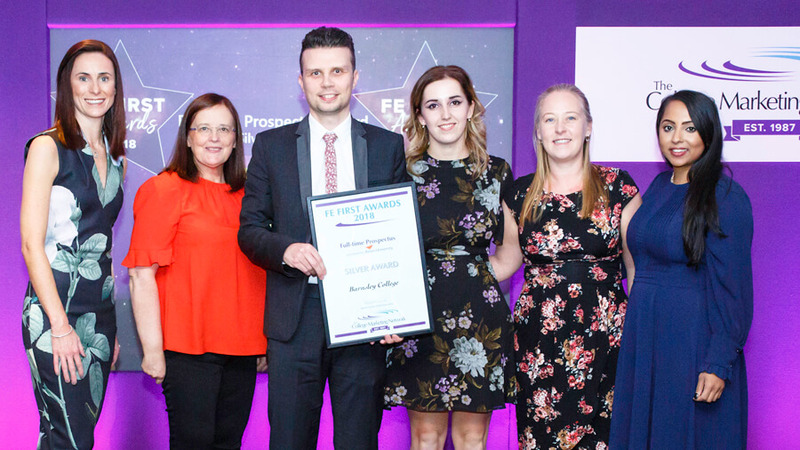 Barnsley College is celebrating winning two awards at The College Marketing Network’s national FE First Awards 2018. Bethh Oliver, Digital Marketing Officer at Barnsley College, won the Silver Award in the Outstanding Individual category and the College won the Silver Award in the Full-time Prospectus category at the awards ceremony which was held during the College Marketing Network’s Annual Conference. The FE First Awards recognise and celebrate the best in college marketing. 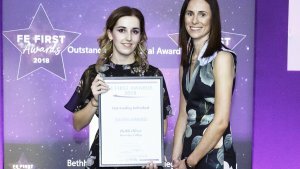 Bethh, 23, from Wombwell, Barnsley, was nominated for the Outstanding Individual Award for being a driving force in overhauling the digital and video marketing activity that the College implements. Bethh has worked hard to find methods where the College can expand its digital marketing, enabling it to interact with the target audience in a medium they regularly use. 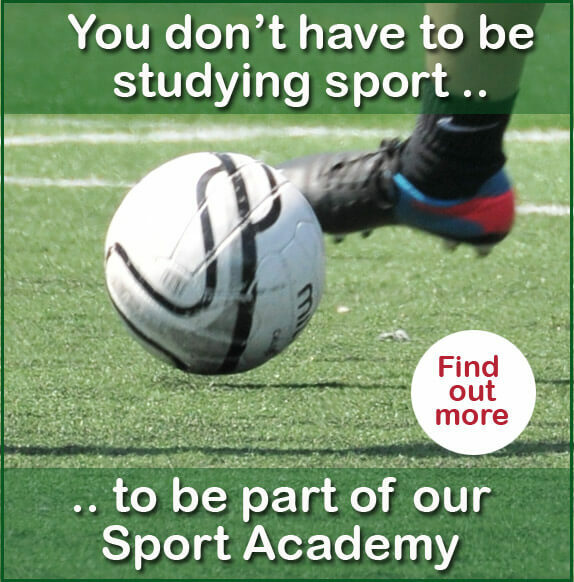 The College’s full-time prospectus is an annual publication aimed at Year 11 students who want to study a vocational course or an apprenticeship. The 2017/18 prospectus was nominated for the award based of the success of a redesign process which was centred on stakeholder feedback received about the 2016/17 prospectus. Chris Webb, Principal and Chief Executive of Barnsley College said: “I’m delighted the Marketing, Communications and PR team has won two awards at the prestigious College Marketing Network awards. “Bethh is a relatively new member of the team and she’s played an instrumental role in developing the digital and video marketing activity that the College does. In 2017, the College was highly commended in the Website Development category at the awards ceremony. The new website was launched in 2016, developed by College staff and Genius Division, a Barnsley-based branding and digital agency. Two of the directors of Genius Division, James Sheriff and Richard Keys, are former Barnsley College students. Bethh Oliver, Digital Marketing Officer, Barnsley College receives the Silver Award in the Outstanding Individual category from keynote speaker, Jo Maher, Principal of Boston College.